At first, Arthur Lucas’s path to opening Freehouse Brewery in North Charleston, South Carolina, may sound familiar: overstressed ambitious person leaves the corporate world to open a brewery. But he wasn’t motivated purely by stress — he’s on a very personal mission to make clean, good beer. Lucas, a former Capitol Hill staffer and an attorney, says he’s always pushed the limits, choosing jobs that let him create new playbooks and be part of effective change. 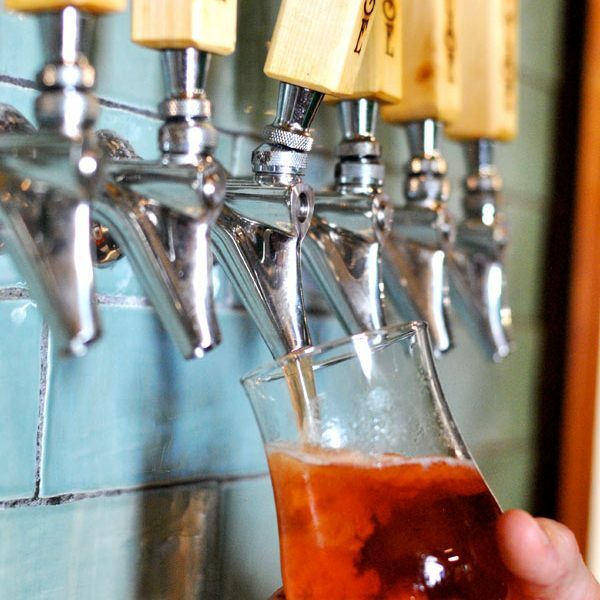 When he opened Freehouse in November 2013, he set out to instill his own personal beliefs of clean food and clean ingredients at the brewery. The brewery’s location along the Ashley River is no mistake. Lucas says he wants people to “sit here and look at this natural environment and think ‘I’m part of that,’” which dovetails into his devotion to making good, clean beer, which he shares in this edition of CraftBeer.com’s Full Pour. Q: On your website, you say, “Freehouse is an expression of beer as we wish it to be.” Tell me about that. Arthur: I wanted to make beer that was crisp, clean, pure flavored, pure ingredients. I don’t really care about styles or the name of the beer, I just want good beer. You can have it in all shapes and sizes, but good beer takes a lot of care and a lot of work. Q: When you say “good beer” you mean more than good flavor. You take it a step farther to organic. Would that be part of what you mean by good beer? Arthur: I wouldn’t exclude those who are making good beer and using conventional ingredients. I gave a talk at the Southern Brewers Conference and it was about — well, everyone wants to hear about being organic. I can walk you through getting certified organic. The hard part is just paying more and finding all the ingredients you want. The bigger deal is Freehouse stands for the freedom from poisons, for example. How can you be free if your water is poisoned? 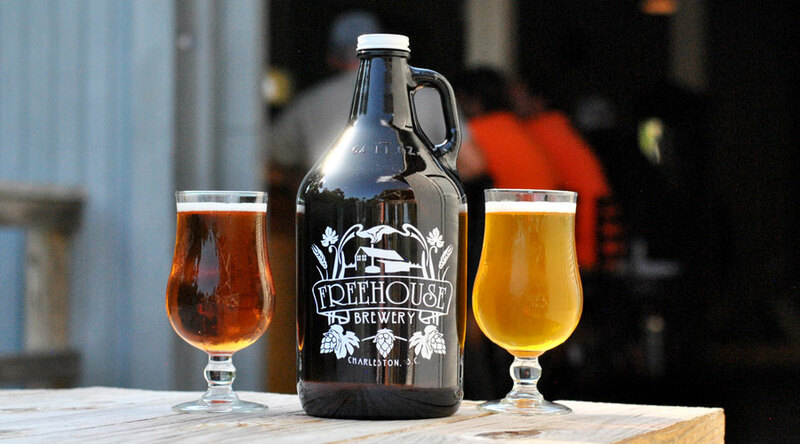 Freehouse stands for the lack of bad stuff being put into our beer. Q: How did your life before opening a brewery lead up to what you stand for at Freehouse? How did that shape your decision? Arthur: I was a licensed attorney and did international law. Before that I worked on Capital Hill. I helped start one of the first new congressional committees that had been formed in 25 years. I’ve always been part of something adventurous, a start up, in where we were kind of making the rules. I’ve done a lot of traveling. I hitchhiked around the world and lived in foreign countries for work and pleasure. It totally opened my mind to less processed foods. I was all over these third world countries and saw people eating really healthy meals. They’re not adding things to it and the food is amazingly flavorful. I learned about vegetarianism and how radically different the American diet and economy is and how we have such an issue with health that is, to some degree, self inflicted. I started thinking about it and I really liked the ideas of pure and natural ingredients. You can tell what all of these chemical additives are doing — and you can’t even tell either, which is the other problem. I started homebrewing as a creative outlet. I had been traveling around the world and when I got back I had to get a serious job. I was working with the United States Congress all day long, and it’s pretty stressful. Homebrewing was in my apartment in D.C. I had no money because I was a Hill staffer. The temperature was perfect in my apartment for the fermentation of ales. The first few batches were good. I want to be part of where I believe all food is going. Beer is food. I am preparing that for you. I am stamping that with the Freehouse brand. The only way I feel really comfortable doing that is not put anything in the beer that I would think twice about. @freehousebeerchskayleigh teaching us everything about beer, mostly how to enjoy it! Q: How has the response been? Arthur: I didn’t want to go all in with us being organic. [“Organic” is not in the brewery’s name] There are breweries out there that struggle with the word “organic” and people inserting in their minds “generic” instead of organic. The last thing we are is generic. I’m on the 12th generation of my own house yeast and brewery culture. That’s the antithesis of what we do every day. We’re about making something new that no one else has had before, and part of that is making it organic and keeping really high standards in the ingredients. It’s personal for me.